BERLIN (2010) – The Connecticut Cabaret Theatre is holding auditions by appointment only for the scheduled comedy “BREAKING LEGS” by Tom Dulack. To schedule an appointment, please call (860) 829-1248 and speak with Artistic Director, Kris McMurray. You may also email [email protected] or his assistant Matthew at [email protected].  The theatre is located at 31 Webster Square Road, Berlin, just off of Route 9 North or South, exit 22 (Mill Street), or seconds off the Berlin Turnpike. The company is currently seeking a character actor between the ages of 30-65 to play "FRANKIE SALVUCCI". Applicants will be asked to read from the script. Please prepare a 2 minute monologue. Show dates are every Friday & Saturday from August 20th thru September 25th, 2010. Rehearsals will begin around mid-July. SYNOPSIS: The action occurs in an Italian restaurant owned by a successful mobster and managed by his beautiful unmarried daughter. When the daughter's former college professor arrives to ask for financial backing for a play he's written about a murder, the fun begins. The three main Mafiosi are intrigued with the idea of producing a play. The daughter becomes enamored of the playwright, who is delighted to have the family's support. His bubble is burst when he discovers, through the "accidental" death by train of a lesser thug, that his backers are gangsters. In this madcap situation, murder and menace are served up with plenty of pasta and laughter. RENT RENT RENT RENT RENT!!! Check out the ALL NEW video podcast capturing the wildly fun energy of our production of Jonathan Larson's Pulitzer Prize winning rock opera "RENT"!! Running now until May 22, 2010!